While watching this :90 spot, part of a new brand campaign from Dow Chemical created by FCB Chicago, we are reminded of the unfortunate mindset that invades large companies which do so many things it becomes impossible even to remotely explain what the company actually does do. We saw this to a certain degree in the latest GE campaign and now we are witnessing it in this latest campaign from Dow Chemical. For an agonizing 89 seconds, we are subjected to meaningless fluffery and puffery, written as if the copywriter was in the midst of an epiphany with God, which somehow ties Dow to a missing chemical element, the Human Element. Then again, what else can you say about a company that does everything? Enjoy what you've read? Subscribe to Adrants Daily and receive the daily contents of this site each day along with free whitepapers. Looks like the CMO fell in love with an agency rip-o-matic. This DOW spot is actually designed to highlight an industry-wide epidemic: horrifically poor copywriting in brand mgmt. campaigns. The dark irony of this campaign is that when methyl isocyanate bonded with the human element in Bhopal, India, Dow refused to accept responsibility for the more than 100,000 deaths that resulted. 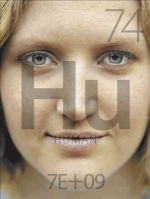 Of course, they also forgot to notice that there already is a 74th element on the periodic table. It was never missing. It's tungsten. I like Nick's take on this. Other then that what could the reason be. Poor is a good description. Sam- The thing in Bhopal was under Union Carbide, Dow wasn't associated. Dow acquired Union Carbide years later. How does making old ladies get all teary eyed help you sell chemicals? "We are being portrayed as a heartless giant which doesn't care about the 20,000 lives lost due to Bhopal over the years," said Dow President and CEO Michael D. Parker. "But this just isn't true. Many individuals within Dow feel tremendous sorrow about the Bhopal disaster, and many individuals within Dow would like the corporation to admit its responsibility, so that the public can then decide on the best course of action, as is appropriate in any democracy. "Unfortunately, we have responsibilities to our shareholders and our industry colleagues that make action on Bhopal impossible. And being clear about this has been a very big step." On December 3, 1984, Union Carbide--now part of Dow--accidentally killed 5,000 residents of Bhopal, India, when its pesticide plant sprung a leak. It abandoned the plant without cleaning it up, and since then, an estimated 15,000 more people have died from complications, most resulting from chemicals released into the groundwater. Although legal investigations have consistently pinpointed Union Carbide as culprit, both Union Carbide and Dow have had to publicly deny these findings. After the accident, Union Carbide compensated victims' families between US$300 and US$500 per victim. I think neither the copywriter nor the brand manager actually know what the company does. They put the spot on some finantial channel while the tickers roll and investors say "Hey that company I bought some shares last week has a commercial on TV". They don't know what the company does either. This is obviously a rip off from "Ashes and Snow" by Gregory Colbert! You can see similar (or almost copied) pictures in every scene!! First, I thought that it had been created by Mr. Colbert. However there is no way that Colbert who is an Environment Supporter/Nature Photgrapher would do this job even they paid him a fortune. It is such a misleading commercial with no originality. Pretty? Yes. Expensive? For sure. Misleading? Probably. You can make anything smell like a rose, if you have a big enough budget and hire the right creative people. Obviously they hope people take this expensive ad at face value. I saw the 90 second version during Wimbledon coverage. (I always beware epic 60+ second advertisements, I love momentarily being in the dark as to what corporate behemoth it's for) All of these beautiful images, an old wise African man sitting in a desert, the scruffy attractive artsy guy sculpting with clay, children running and playing in slow motion, beautiful sweeping landscapes. La-dee-da, the world is so nice and apparently so ecologically well taken care of. All set to a Ken Burns-esque fiddle music score. You don't know what the advertisement is for until the very end when the Dow logo is stealthily revealed. It's a stretch, to say the least. It's not even a stretch, a stretch would imply it took a while but you've made a remote connection, I still haven't made the connection yet. What do any of these images have to do with Dow? Other than trying to attach their own PR image to this beautiful cinematography. You can take those luscious images and attach them to ANYTHING. It's all well and good to come off as being a responsible 'generous to the community' corporation. But man do they have the burden of proof. It's probably not impossible. But it requires lots of thankless work and effort with no glory and no pat on the back perfectly timed with a photo op. At the very least, adapting the Japanese business model of CEOs' salary being adapted to reflect how well the corporation performs, total disclosure to stockholders regarding the financial health and news of a corporation. I doubt Dow is up to the task, it's not unusual, the bottom line implicitly means quite the opposite is actually going on. But maybe we should give them the benefit of the doubt. Not. Wait, I think I made the connection. Maybe the 'human element' is a euphemism, meaning human beings are actually an ingredient in the chemicals. One part oxygen, two parts carbon, one part liquefied human being etc. Looks like Picasso can paint a turd and make it look beautiful. They are doing what any smart company should do: Defining themselves or someone else will do it for them. Dow got rid of their branded products several years ago, a whole generation of people do not know who or what Dow is. Not defending them by any means. For the first time ever their stockholders have requested answers and action plans dealing with their enviromental issues, including Bhopal. I think it is largly because of the internet & discussions like this. Keep holding their feet to the fire! elflocks paesan decker broacher faxless payday loan snoozy . It may be late, but the idiot who had one of the first posts is well... an idiot. 100,000 deaths? Are you insane? It ws more like 20,000 (liberal estimate). I'm not saying that it's good, just that you need to get your facts straight before insulting a company. What is the "7E+09" at the bottom of every logo that I have seen?